2017’s Star Wars Highlights – I'd Rather Be Geeking! This battle…was not what I expected. What I thought I was going to see when I sat down in front of my TV that night was two old men fighting a drawn out battle full of revenge, hate, and all that Sith stuff. Nope. Instead, the two of them stared at each other for a few minutes before hitting their lightsabers together at least three times before Maul… *ahem* lost the battle. Sure, I was a little sad to see Maul die after all the things he’s been through, (not to mention that he was my favorite character). Still, I am glad that Maul didn’t have to die alone, since Kenobi was kind enough to sit with him as he died. When I heard that Timothy Zahn was writing a book about Thrawn, of course I was excited! Grand Admiral Thrawn is my all time favorite Star Wars character, and it seemed appropriate for him to get his own book. When it read it, it quickly went on my list of favorite books! Timothy Zahn is amazing! You can read my review of the book here on this blog! And if you haven’t read the book yet, do me a favor and do so! The Star Wars Celebration is the coolest event of the year for Star Wars fans. I have never actually gone to the celebration, but I’m dying to…like, I get soooo jealous when I see all those people on the live stream. Anyway, 2017’s Star Wars Celebration was no ordinary one. This year, they celebrated Star Wars’ 40th birthday! I got to watch the live stream of nearly all of the panels – and you can read my highlights of the event right here on Oldjhos! – but the 40th anniversary panel was the best one. George Lucas, Kathleen Kennedy, and a ton of special guests joined together on the stage to talk about the greatest franchise in history. The panel ended with a surprise concert from the Star Wars composer John Williams and a touching tribute to Carrie Fisher. Another amazing Star Wars book, by Christie Golden was released in July. The review of this book is also on this blog, but I’ll tell you know that this book is incredible. I love Imperial focused stories and it really asks the question: who is the bad guy in Star Wars? Was this book not enough for you? Good thing Battlefront II came along with a single player campaign mode to continue Iden Versio’s story. But I will be getting to that in a minute. Inferno Squad definitely changed my perspective on Star Wars, seeing life through the eyes of an Imperial elite pilot. I highly recommend this book. If you read my post “40 Years of Star Wars: My Top 10 Favorite Memories”, then you know that I don’t enjoy football. Once again another Star Wars trailer was released in the middle of a football game. I may not like football, but the trailer was worth it. It really got me ready to watch the movie. Although, the trailer had me expecting something…that the movie wasn’t. That’s totally okay, though, since I actually loved the movie! I had been waiting for this game for a very, very long time. I cannot tell you how much I love video game storylines with cutscenes and all that stuff, so I was quick to play the campaign mode, which carried on the story of a characters that I already loved; Iden Version and the rest of Inferno Squad (minus Seyn Marana). I’m going to try and do my best not to spoil anything, but the ending of this story blew my mind! Also, after this game ended a DLC, serving as (a very short) closure for Iden’s story, released a few weeks later. And now, for the biggest highlight of the year, Star Wars: The Last Jedi. I don’t care what other people say about this movie, I thought it was pretty awesome. It was nothing like I expected, and the exact words to describe it are bizarre, funny, sad, and long…very long. You can read my review of this movie, again, here on Oldjhos. Of course, I can’t forget about Star Wars Rebels’ grand finale. I have a feeling it most likely won’t have a great ending for our characters, but hey, saving the galaxy is Luke Skywalker’s job! I have diligently been keeping up with the show for nearly four years, and I am very pleased at everything that’s happened in it. It’s sad to see it go. Though I am certain that a new cartoon will soon replace it. As long as Dave Filoni is directing, I’ll be happy! I wonder how this partnership is going to work out? 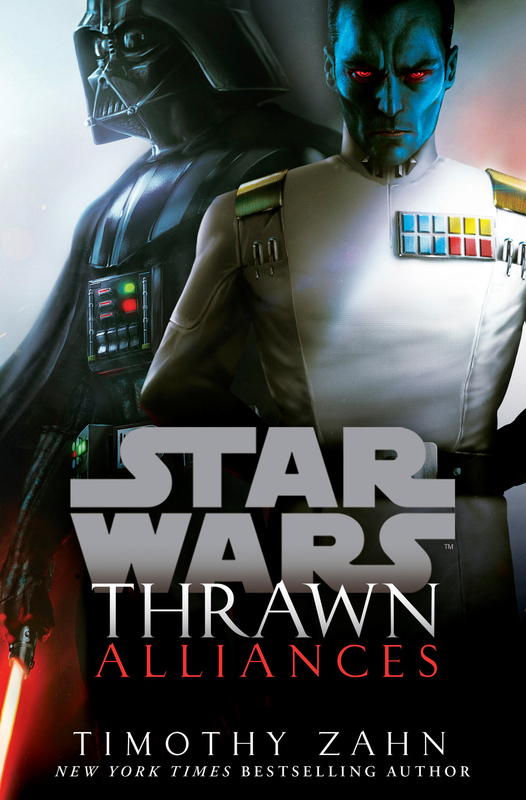 Thrawn: Alliances will release on June 26,. What was your favorite Star Wars highlight of 2017? Do you have some that didn’t make the list? Let me know in the comments! I hope that 2018 is a great year for everyone! God bless you! And may the force be with you…always.